Our summery front porch, as decorated by Big Sis. 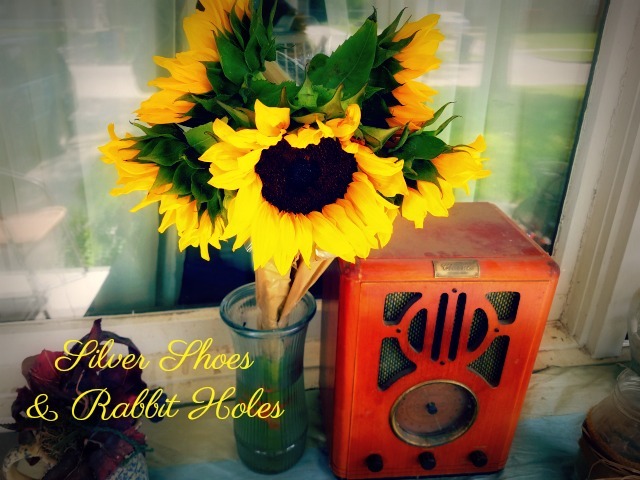 The sunflowers were her fifth grade graduation bouquet. 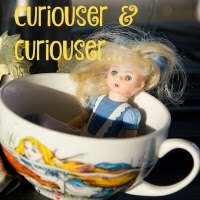 Today is the fifth anniversary of my tiny blog. 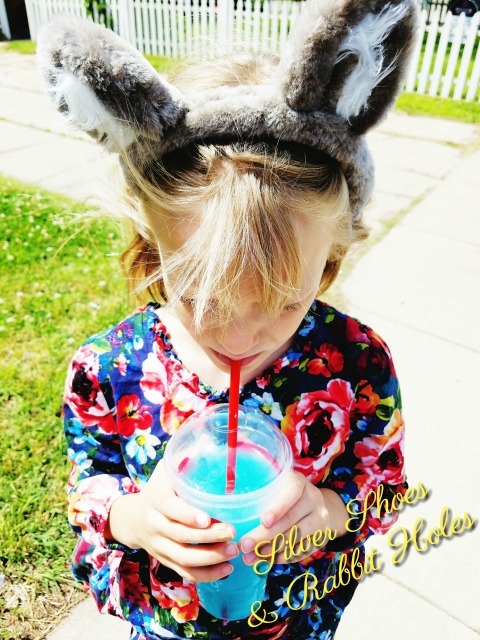 I posted my first little introduction to Silver Shoes & Rabbit Holes on May 31, 2012. 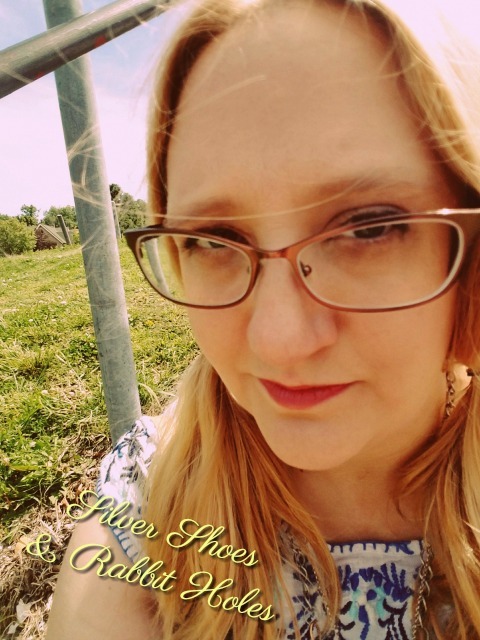 I was feeling a little clueless, but excited to try my hand at this whole bloggy thing. It's a busy morning here in Doo-Dah, and a rainy one, too. My computer is mad at me, so I'm borrowing my oldest daughter's laptop (!!!). Summer break began a couple weeks ago. We have company today, and this evening begins a week of dance recital rehearsals and performances. I have a couple of books in the wings, waiting to be shared, but today, I felt like reflecting on how things have changed these last five years. Five years ago today, Little Sis was four and had just finished her first year of preschool. This photo comes from this post. She loved Fancy Nancy, HR Pufnstuf, and her mudpie kitchen. She was already a little artist, although her art was a bit more primitive. Today, Little Sis is 9, and she just finished third grade. She still loves art, and I hope to post some of her more recent stuff soon. In fact, we are thinking up ideas for Little Sis Tuesday, which we want to begin next week! 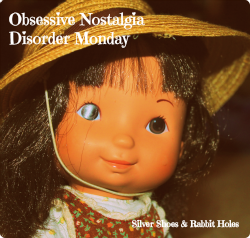 She still loves her vintage dolls and entertainment. Thanks to Labyrinth, she loves David Bowie. She is also begging me to take her to Kansas City in July to see Blondie and Garbage in concert, which just cracks me up. Five years ago, Big Sis was only six, and had just completed kindergarten. From my second ever blog post. She was reading Ivy & Bean, loved watching Ruby Gloom on Netflix with her sister, and was a budding crafter. And now, Big Sis is an elementary school graduate! She will start middle school this August. She is my eleven-year-old math whiz. She plays guitar, and hopes to be in pointe shoes by the end of the year. 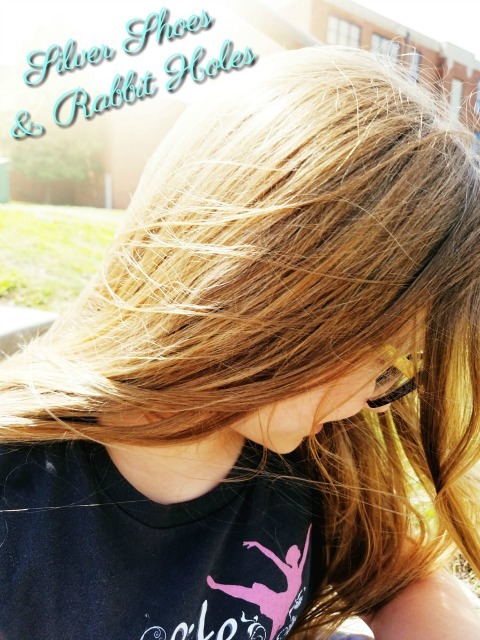 Harry Potter is her everything, but other favorite books include The Mysterious Benedict Society, The War That Saved My Life, and Absolutely Truly. I am pretty sure she has entire episodes of Parks & Recreation memorized by now, and she loves Guardians of the Galaxy. So this is me. I haven't changed much. 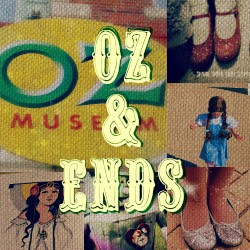 I still love children's books, with special love for the Oz series, Alice in Wonderland, A Wrinkle in Time, and Olivia. 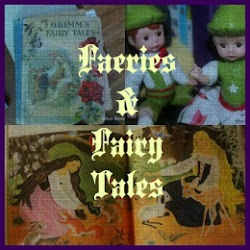 I still love fairy tales and fantasy and old movies and vintage stuff I don't need. 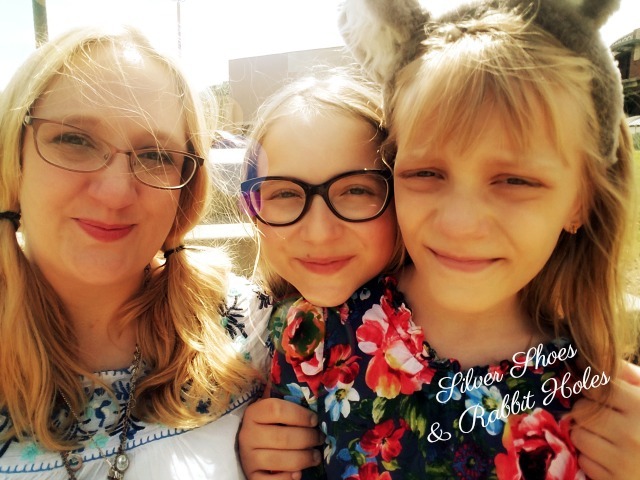 I'm still a SAHM, although I'm thinking about changing that. Although it's been a year since I last acted in a play, I still consider myself active in the local theatre scene. Mr. B is still my wonderful love and best friend, and he still hates having his picture taken. Our pets have changed over the years. 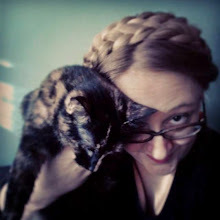 When I started my blog, we were recently down to two cats, Katie and Jenny. Eventually, we got Mabel and, finally, her sister Lucy, left on our porch by their mama. Then Katie died, then we got our beloved Peanut dog, and our chickens (including a rooster, come and gone), and finally, Bruce, our betta who was abandoned on our porch. I don't keep this space up as often as I'd like. 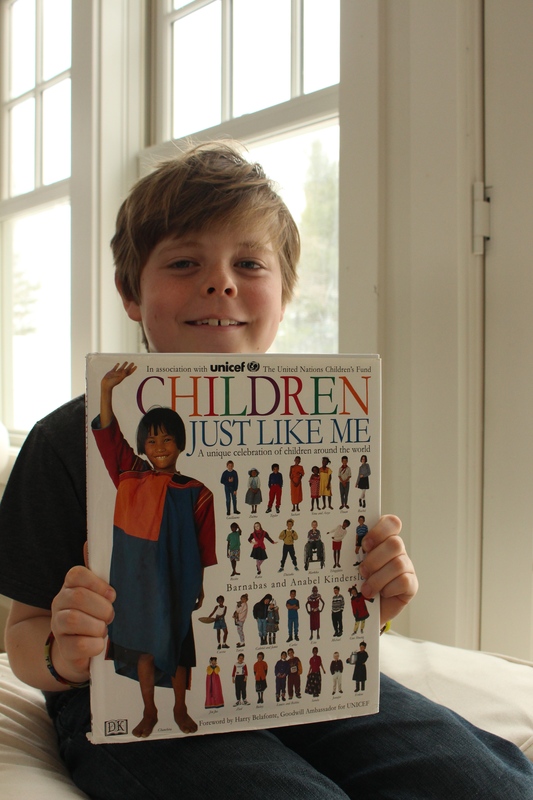 My days of blogging five days a week are long gone, and I tend to focus more on actual books. You can see a bit more on Instagram, and my little Bookstagram. 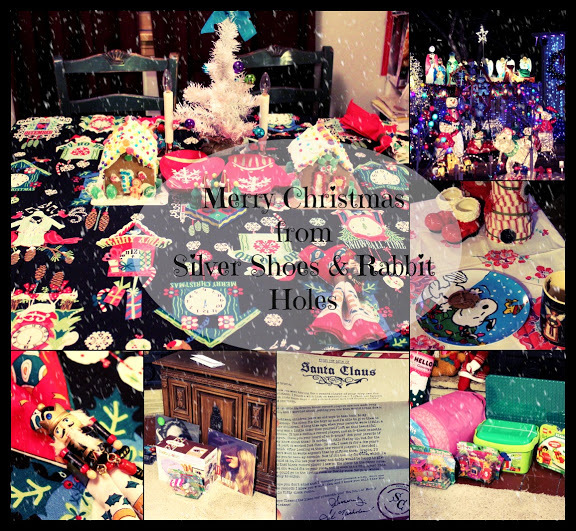 Thank you, dear Silver Shoes & Rabbit Holes visitors, for keeping me company over the last five years. My blog isn't the prettiest. It isn't polished, professional, or most informative. In my own little corner in my own little chair, it is what it is for me. Thanks for sticking around! Ok this seriously made my eyes well up with tears. i'm not joking. that was beautiful!!! what joy and beauty and love for books you put out into the world with your site! 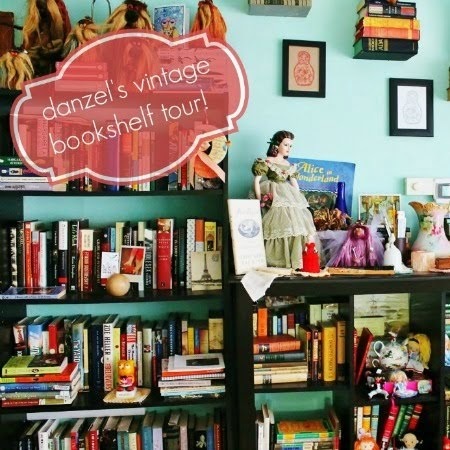 It was a happy day indeed when you decided to share snippets of your life and your amazing book collection with us. Speaking of Pinterest....did they take away the chat button? can you no longer comment on people's pins?? I think there's an icon of some sort now. It's confusing. There have been a lot of changes lately that I dislike. Someone commented on one of my pins a couple days ago, though. Okay, I commented on one of your pins. At the very bottom, waaaaay under the pin, was an "Add a comment" box. Thank you so much. I really want to start blogging again, but it's harder right now. Life is so busy, and my computer no longer works. I have to use my phone or Big Sis's laptop. It's halfway through October, and I should be posting Halloween stuff! Thank you for the kind words and encouragement. I haven't even been reading blogs as much, as that's something I always preferred to do at my computer desk!